Let's pick a fun pattern for this sketch - it's going to be the focal point of your card, so get creative! 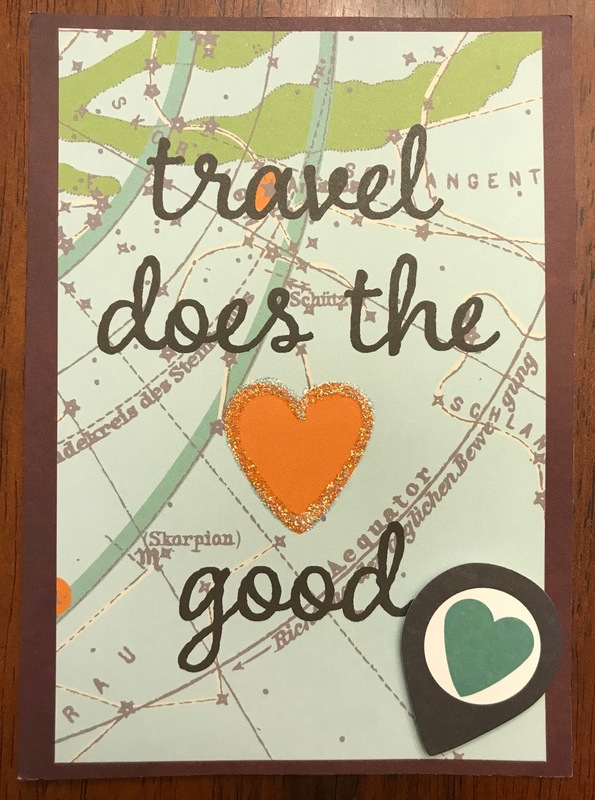 I made a travel-themed card with a map background paper and a sweet sentiment. The 3D heart has glitter around the edges, and the map marker is raised on 3D adhesive for some added dimension. 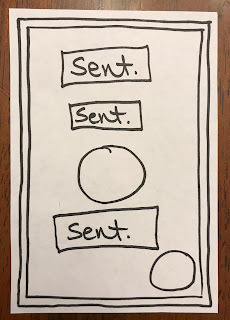 The sentiment is broken up into four lines: three lines of writing and one heart image. 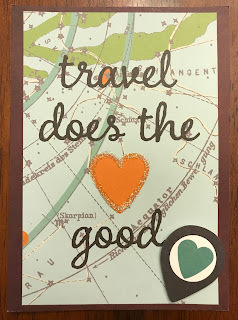 This makes the sentiment more interesting to look at, especially if you make similar cards over and over again. For your version of this sketch, start with a solid background color that coordinates with your pattern. Then cut your patterned paper down by a quarter of an inch on all four sides. Have fun with how you make your sentiment. You can use alphabet stickers, printed letters, rub-ons or hand-written words. Whatever style you choose, pull out one word and recreate it as an image, like the heart in my card. In the bottom corner, pick a coordinating embellishment with your chosen pattern. This is a great opportunity to add dimension with 3D adhesive or a layered image. 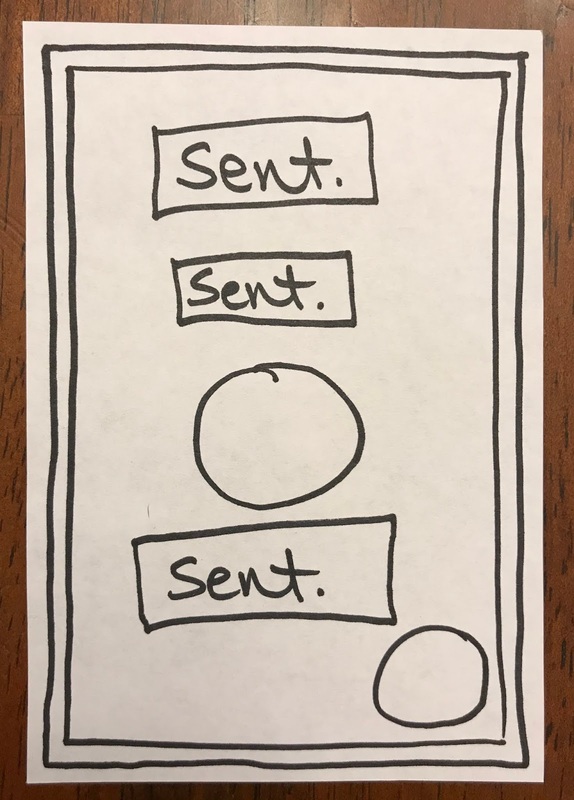 Make sure you share your finished card and show how you used your theme in a creative way.